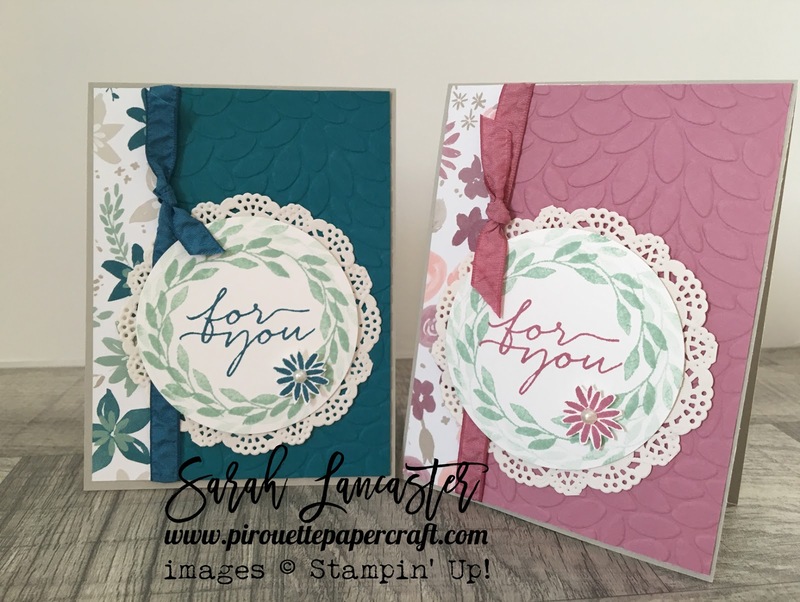 I am so happy to be able to offer you another kit that I have made just for YOU using awesome products from Stampin' Up! This is the fabulous Blooms & Bliss collection from the Annual Catalogue. Read on to discover the amazing contents of your kit and watch the introductory video. 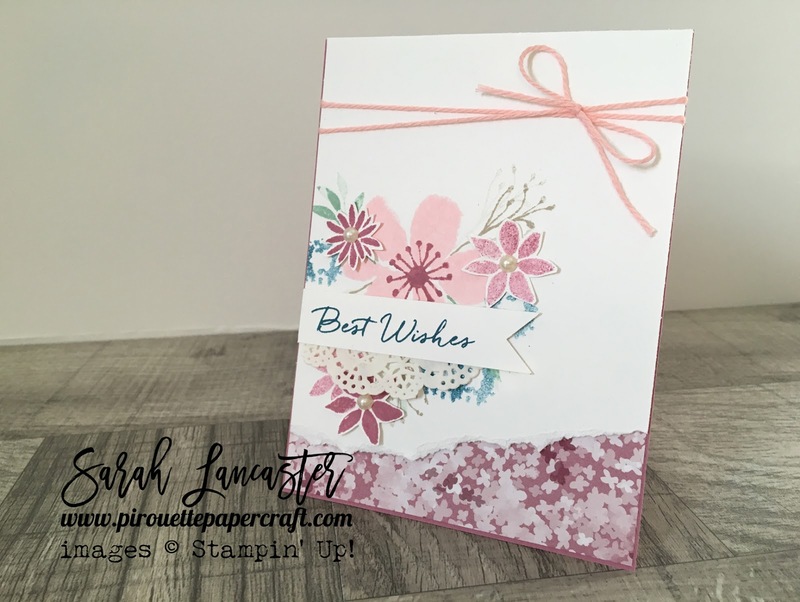 I have an option if you are new to stamping and/or are looking to build up supplies. Or perhaps you are missing the ink colours that we will be using with the projects. 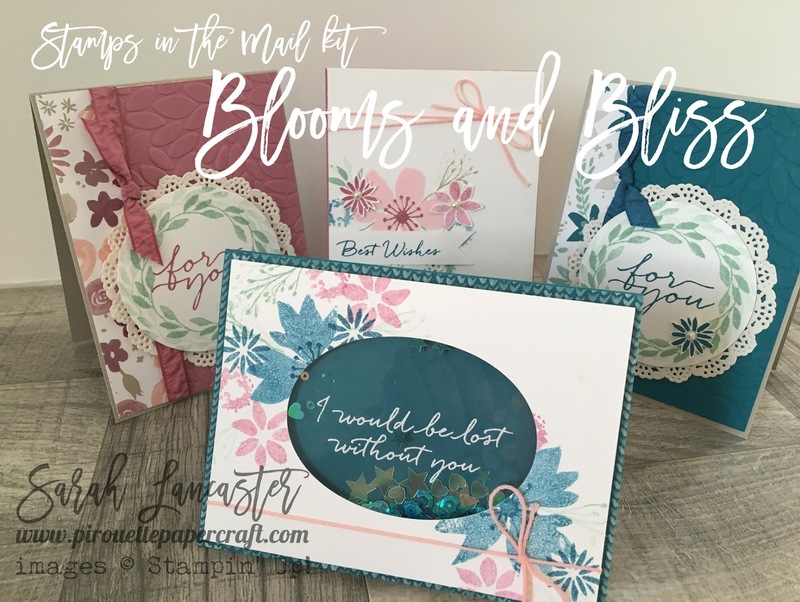 You can add the 3 ink colours Island Indigo, Sweet Sugarplum and Mint Macaron and you will receive the Petal Burst embossing folder (9€) FREE (if you already have purchased a previous kit and have some of these ink colours you can choose any combination of 3 colours. You can pay me via Paypal in all security in Euros for France, Germany, The Netherlands and Austria. For the UK Paypal will do the currency conversion for you. If you don't have a Paypal account, you can create one for free. Shipping is included in the prices above and is via a fully trackable service. If you are not a resident France, Germany, Austria, The Netherlands or the United Kingdom, you can still gain access to the PDF and video tutorials by becoming a Patron and supporting me on Patreon. You can find all the details HERE. Each kit that I offer will be priced differently because it will depend on the products that I use and offer. For example, I am starting off with more *simple* kits that work around a stamp set and co-ordinating Designer Series Paper (DSP) and inks. I will gradually introduce kits that offer embossing folders or co-ordinating dies. I offer clear or photopolymer stamp sets because this is the cheapest for shipping purposes. If you prefer wood mount you must agree to meet the extra shipping costs. The kits will differ in their contents - not necessarily all cards and a different number of projects. I aim to use each major sentiment from the stamp set on offer. Kits will be mailed within 15 days of you ordering from me. As per my demonstrator agreement I do not hold stocks of the stamp sets, inks and paper that make up the kits. After you make the Paypal payment I place the order and when it arrives I make up the kit for you and mail it immediately. 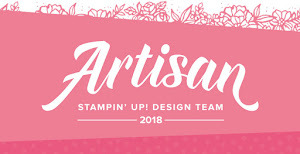 If the kit is based around a limited time stamp set/bundle and it is sold out with Stampin' Up! when I process your order, I will refund your Paypal payment in full. Die cutting, shape punching and embossing will be completed for you (no stamped images) according to Stampin' Up! copyright and angel policies. Where kits included die sets you will be expected to complete the die cutting yourself with your own die cutting machine. You will receive an emailed PDF file that includes all cutting measurements and colour photos so that you can recreate the projects again with your own supplies. You will receive an emailed link to all videos for each kit. These videos will not be available to my YouTube viewers. I do not sell the PDFs or the links to the videos - thank you for your understanding. Shipping is included in the price. I can only ship to residents of France, UK, Austria, Germany and The Netherlands. Je suis super heureuse de vous offrir mon nouveau kit créatif que j'ai fait juste pour VOUS. Il y a trois cartes differentes et les produits de faire deux de chaque. Si vous prenez Option 2, je vais vous envoyer comme un cadeau le plioir à gaufrage Les pétales s'étalent (9 €). Si vous avez déjà les tampons encreurs dans le kit Option 2, vous pouvez sélectionner les autres. Il y a aussi mes tutoriels PDF (en français) et mes vidéos (en anglais) pour tous les projets. J'espère que vous aimez mon nouveau kit et vous souhaitez de l'essayer.